FOR THE second month running, City of Plymouth’s Ashley Smith was first home in the Armada Summer 5k Series at Saltram Park. 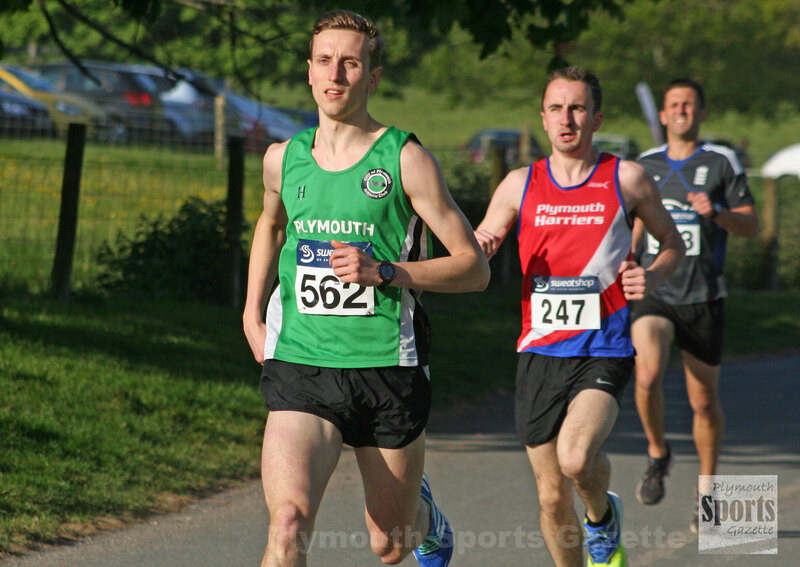 Smith had won April’s race in 16 minutes and 57 seconds, but he went faster to claim victory in May’s race on Wednesday night, clocking 16.45 minutes. Torbay’s over-50 veteran Peter Monaghan was second on Wednesday in 17.25. Third athlete home was Plymouth Harriers’ Steve Fletcher in 17.48, with Jacob Pierpoint fourth in 17.57 and Storm’s Ross Perkin fifth in 18.16. There were good runs by youngsters Bradley Stevens of Tavistock and Erme Valley’s Sam Yearling. Stevens finished seventh in 18.39, with Yearling just eight seconds behind. They sandwiched veteran star Stuart Hall. Plymouth Harriers’ Jane Allison was first women home in 20.21. Second was Plymouth Tri Club’s Kirsty Prowse in 22.22 and just two seconds behind her was Tavistock’s Tilly McDowell. The run around the grounds of Saltram House saw 197 finishers.